She walked up to me on the beach in Montevideo, Uruguay. This young mother of two beautiful girls and the wife of a talented musician. She herself is an amazing singer. She and her husband lead the praise and worship for a church in an area called Colonel, about 30 minutes outside of Montevideo. They live in a two room, cinder block home with no insulation. The whole house is about the size of a typical American’s living room. It can be a bit damp in there during the rainy season. Their kitchen is between the two rooms and probably smaller than your bedroom’s walk in closet. 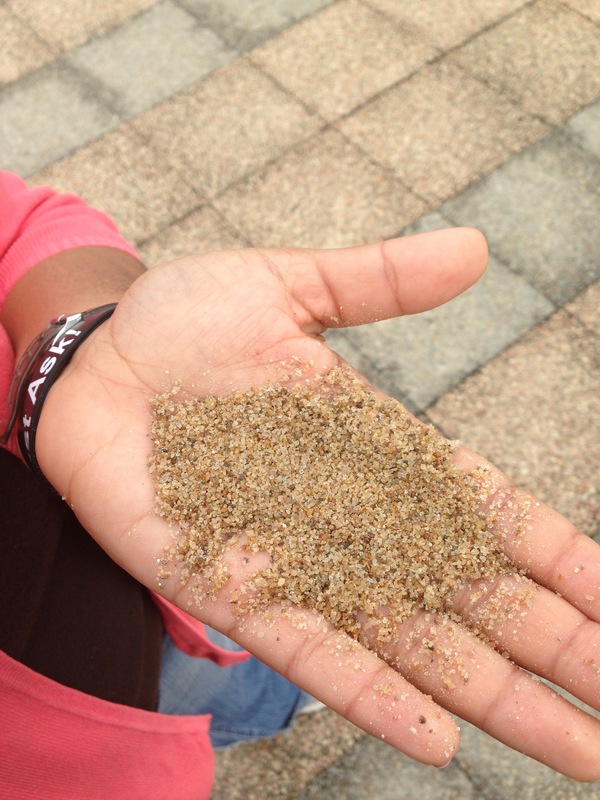 This incredible soul walked up to me on the beach with a handful of sand. She held up a grain of sand, smiling and said in Spanish: “God loves me as much as the grains of sand on this entire beach!” Then she hugged me and walked off. This is a normal thought for her. It’s how she sees the world. I watched her walk down the beach with her husband. She drew a big heart in the sand and put her and her husband’s name in the middle. It was then I realized I had it all backwards. She is rich and I live in abject poverty by comparison. Image | This entry was posted in life, personal growth, relationships, Uncategorized, Wealth and tagged hope, life, Love, perspective, revelation. Bookmark the permalink. What an awesome encounter. Love the insight…we see “rich” and “poor” through some very warped lenses. YES!!! Perspective!!! Well, well, look at you! I loved this. Hits home for me on many levels. Most folks don’t see, and certainly wouldn’t agree, that she was the rich one. However, I am right there with ya on this one. It’s sad, .. our world has it all backwards .. This blessed me today! In fact, you really encouraged me today (I needed in a big, BIG way) so please know that you are doing your part. Keep it up! Thank you. I have these paradoxical desires to want fewer things but to make more money. As I continue to move in that direction I am able to sow more and more into ministries I believe that truly impact The Kingdom. I’m having more fun than I ever have! It’s like being a kid again at times.